Happy Friday! 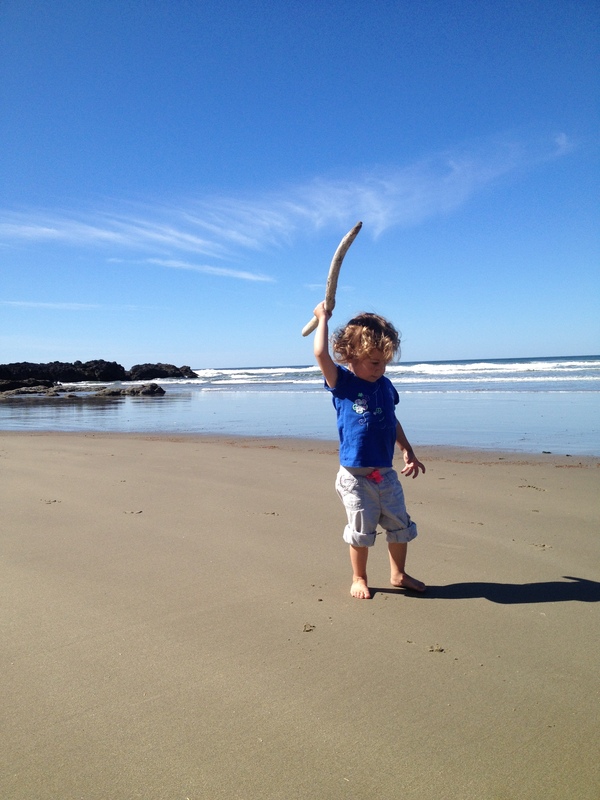 It’s been a whirlwind these last few weeks with starting speech therapy for Willow, spending some time at the coast and then we had a close friend stay with us a bit, so this post was a long time overdue. Can’t believe summer is just about over….but that means fall will be here and that’s my favorite time of year. It means the start of comfort food and all sorts of warm, hearty meals! 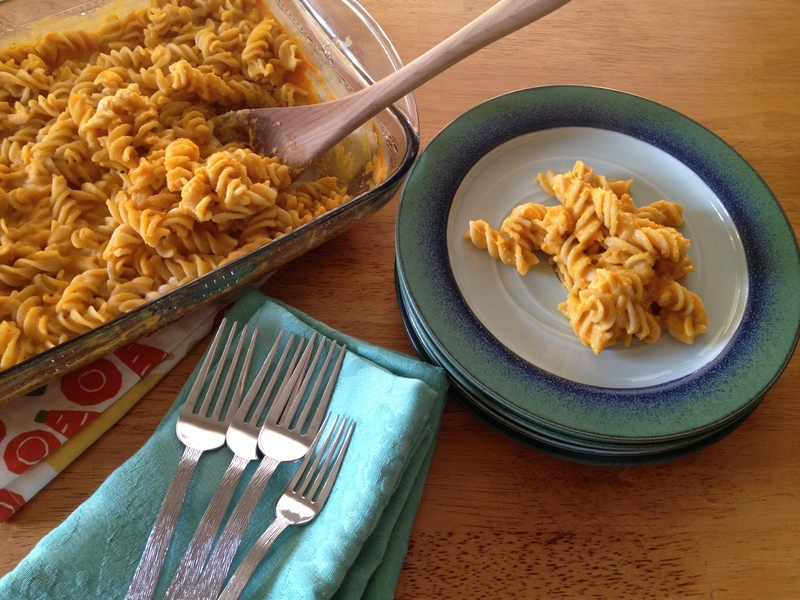 My most ‘pinned’ or shared recipe is for “The Best Mac ‘N’ Cheeze” and while I’m humbled by that, it’s also my least healthy recipe. Since I’ve recently been cooking with less oil (thanks to some of my IG friends and The Starch Solution), I was on a mission to recreate the recipe to be simple and oil-free. The “unhealthy” version was adapted from a VegNews recipe (I made minor adjustments) and while it is extremely creamy and delicious, it also leaves you feeling heavy. Long story short, I have finally perfected a cheezy sauce that is so versatile we’ve used it on pizza, enchiladas, nachos, baked potatoes, mac ‘n’ cheeze and tacos. The best part is, I’ve also kept my nut-free readers in mind, so I’m providing two options! As with my refried beans recipe, this also makes a significant amount that will keep in the fridge for several days and I imagine could freeze well, too. 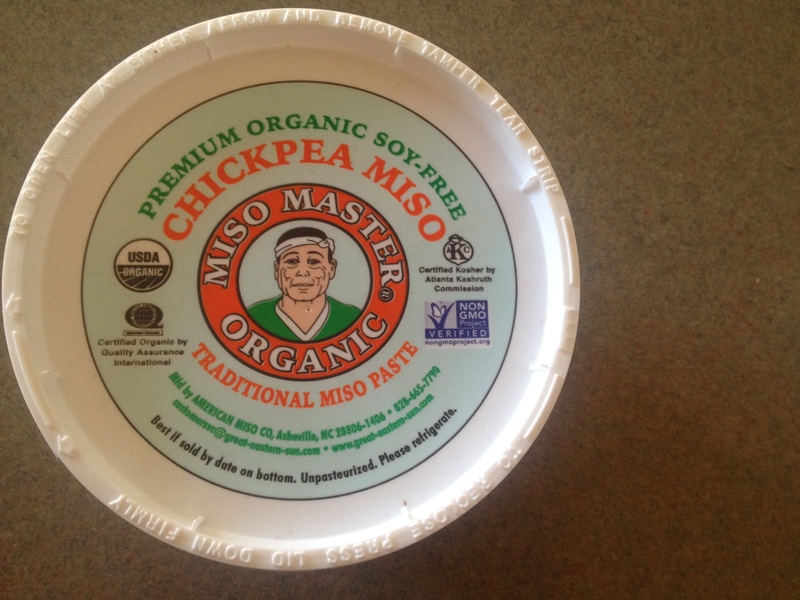 Earlier this year I finally found chickpea-miso and have become obsessed! Before I eliminated all forms of soy from my diet, miso was one of my favorites – so much flavor in a very small amount! I literally add it to everything from salad dressings, soups, sauces and even some dehydrated snacks. 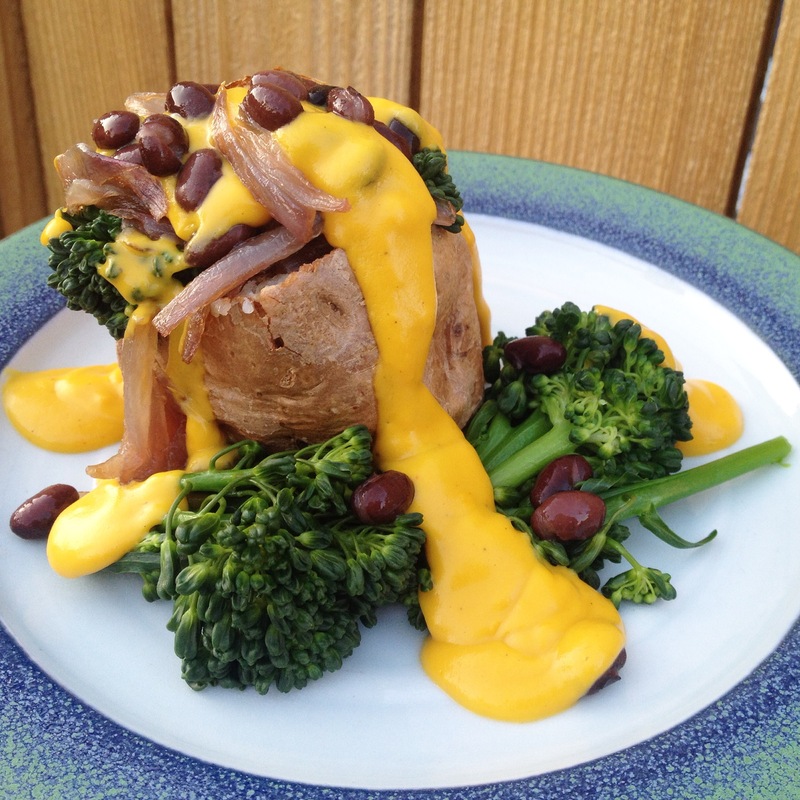 This cheezy sauce is one of my favorite things to add it to! * To keep it nut-free, just simply omit the cashews! It won’t be quite as creamy, but delicious nonetheless. 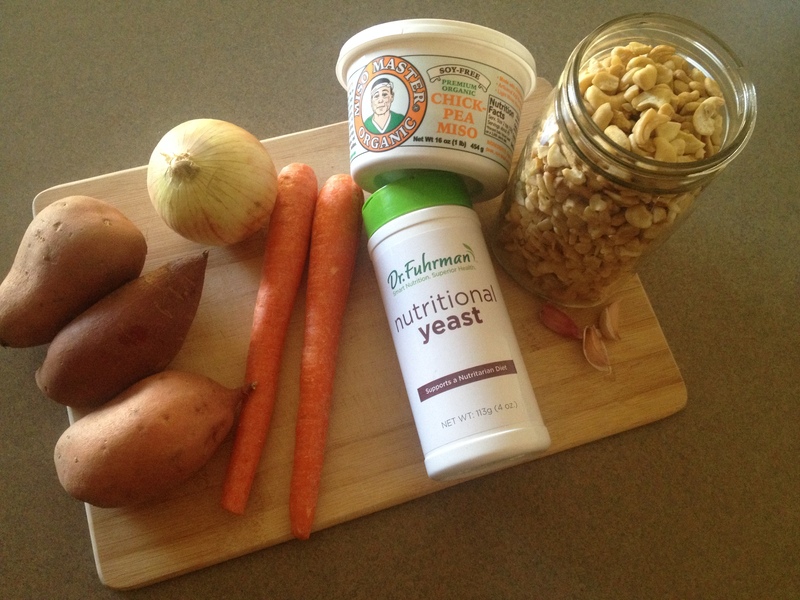 You can also add an extra tablespoon or two of nutritional yeast. 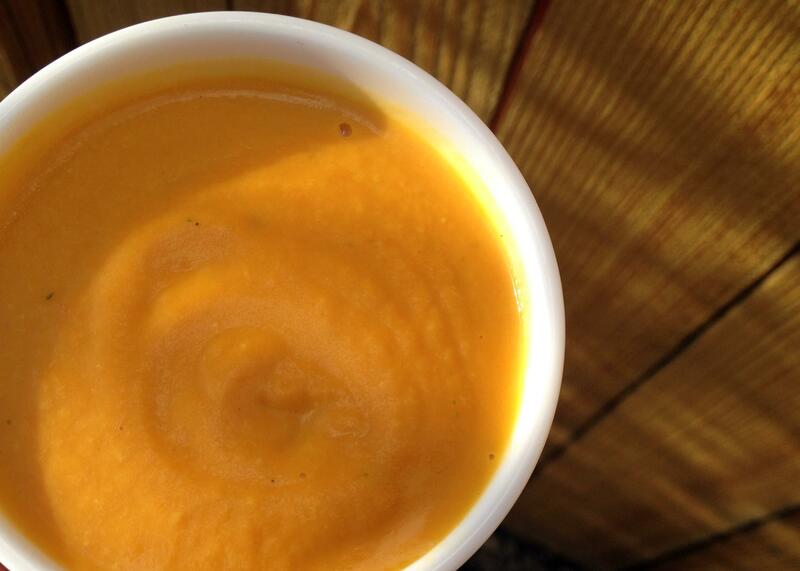 Chop your sweet potatoes, carrots and onion and then add them to a pot with 2 cups of water. If you’re using a bouillon cube, throw it in at this time, otherwise you can omit and put a couple of dashes of garlic powder, onion powder, and a pinch of parsley. Bring to a boil, then cover and simmer on low for 10-15 minutes or until veggies are tender. Once your veggies are done, add those, along with the cooking water to a high-speed blender with the remaining ingredients. Blend until smooth, stopping to scrape the sides. Season to taste with salt, pepper and paprika – and if it needs more garlic, you can either add another clove of garlic or a few dashes of garlic powder. We keep our sauce mild for Willow’s sake, but it’s also great with some chipotle powder. If the sauce is too thick for your liking, add additional water or some unsweetened non-dairy milk and blend again. If you’re using this sauce on a baked potato or on tacos, you’ll want to then transfer the mixture into a pot to cook a bit longer for the flavors to meld together – approximately 15-20 minutes on low, stirring often. If you’re using it for mac ‘n’ cheese, the sauce will be baked in the oven with noodles for approximately 20-25 minutes at 350 degrees. ** When making the macaroni and cheeze, it’s not necessary to bake it, but then I suggest heating the sauce on the stove for a bit to bring the flavors together. We like to add a drizzle of extra sauce on top after baking to make it even creamier. When heating leftovers, we use either the oven or stovetop and I recommend adding a touch of water or unsweetened nut milk to help thin the sauce out a bit. I also highly recommend mixing some of the cheeze sauce with your favorite salsa to make a delicious queso dip! It’s also great paired or mixed with my homemade refried beans. Please let me know if you try this recipe – I’d love to hear how you used it and if you made any adjustments! Made this recipe tonight – it was delicious! I used it to make the Mac and Cheese, following the directions in your blog post. I have to admit – I was a little hesitant of all the veggies in the sauce, but it was a great combination! Thanks for this fabulous recipe!